Eating Disorders Awareness Week is coming up, and I've decided I would like to do as much as I can to raise money for Beat, a very worthwhile charity that supports people of all ages through their eating disorder journey. So, I've decided to set up a JustGiving page here and start a social media campaign to get awareness spread and lots of vital funds raised. All you have to do is take a photo of yourself wearing your funkiest socks, upload the photo to social media using the hashtag #jensocksittoeatingdisorders and donate an amount of your choosing to Beat using my JustGiving link. Let's see how far we can get this spread and how many funky sock photos we can get trending on social media. And most importantly, how much awareness and money we can raise for such a worthwhile cause. 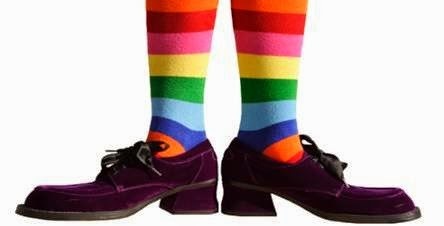 If you do take a photo of your funky socks, please leave me a little comment as it would be great to see how many people join in! Copyright Jenny Cole. Simple theme. Powered by Blogger.